The US and Israel are pulling out of UNESCO over what they see as the UN cultural agency's anti-Israel bias. "This decision was not taken lightly, and reflects US concerns with mounting arrears at UNESCO, the need for fundamental reform in the organisation, and continuing anti-Israel bias," said State Department spokeswoman Heather Nauert. Hours later, Israeli Prime Minister Benjamin Netanyahu announced his country would also pull out and praised America's "brave and moral decision". A statement from Mr Netanyahu's office said Israel was leaving because UNESCO "has become the theatre of the absurd and because instead of preserving history it distorts it". 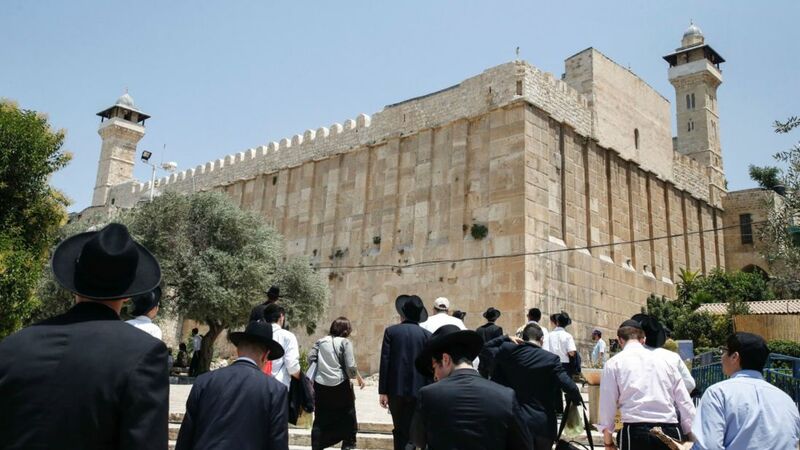 The Israeli leader told leaders at the UN Assembly last month that UNESCO was promoting a "fake history" over its decision to designate Hebron and the two shrines at its heart a "Palestinian World Heritage Site in Danger" - despite them being holy for both Muslims and Jews. UNESCO is best known for granting protected World Heritage Status, including to Stonehenge and Westminster Abbey in the UK, and the Statue of Liberty and the Grand Canyon in the US. Its director-general Irina Bokova, who is Bulgarian, expressed "profound regret" at America's decision and said it was a loss for "the United Nations family" and for multilateralism. She said the US and UNESCO working together matters more than ever because "the rise of violent extremism and terrorism calls for new long-term responses for peace and security". Ms Bokova's two terms as director have included the controversial 2011 vote to include Palestine as a member, funding issues, and repeated resolutions that have been viewed as anti-Israel. Many saw the 2011 vote as evidence of long-running, ingrained anti-Israel bias within the UN, where Arab countries and their backers far outnumber Israel and its allies. But Ms Bokova defended UNESCO's reputation, noting its efforts to support Holocaust education and train teachers to fight anti-Semitism. Russia's foreign ministry said it regretted America's decision to quit, but added that the organisation had become too politicised. The Trump administration has been preparing for a withdrawal for months and a decision was expected by the end of the year, officials in Washington said. A number of diplomats who were set to be posted to the mission this summer were told that their positions were on hold and were advised to look for other jobs.